Ubuntu 14.04 Released it comes with more polished desktop and 12 new wallpapers. 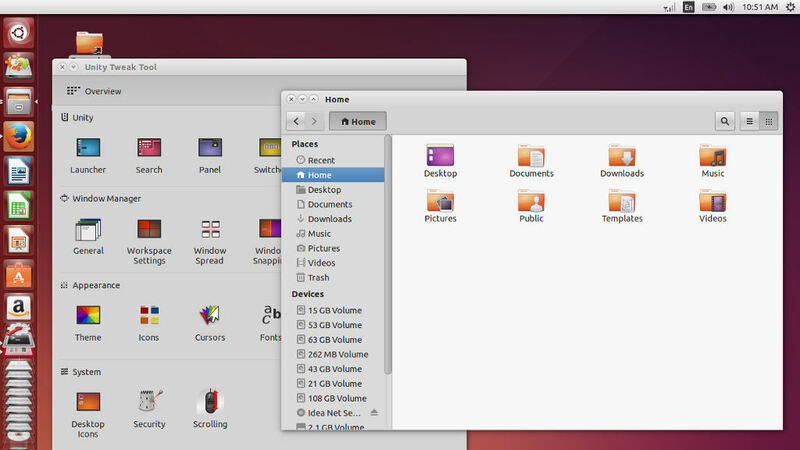 Ubuntu 14.04 is based on Gnome 3.10. There are lot of themes available for Gnome 3.10. 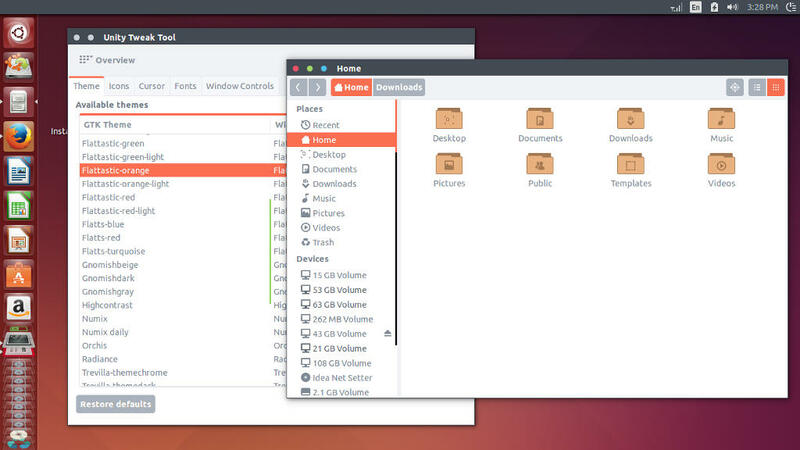 We can choose great themes and icons for customizing the look and feel of Ubuntu 14.04. 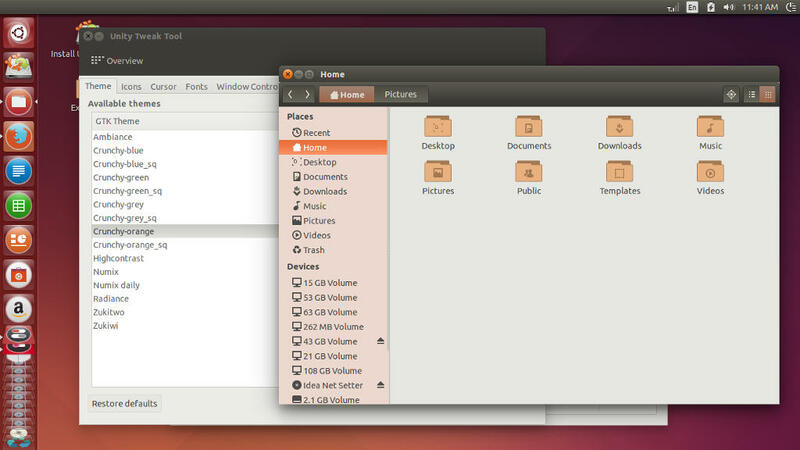 Here are some nice themes for Ubuntu 14.04. 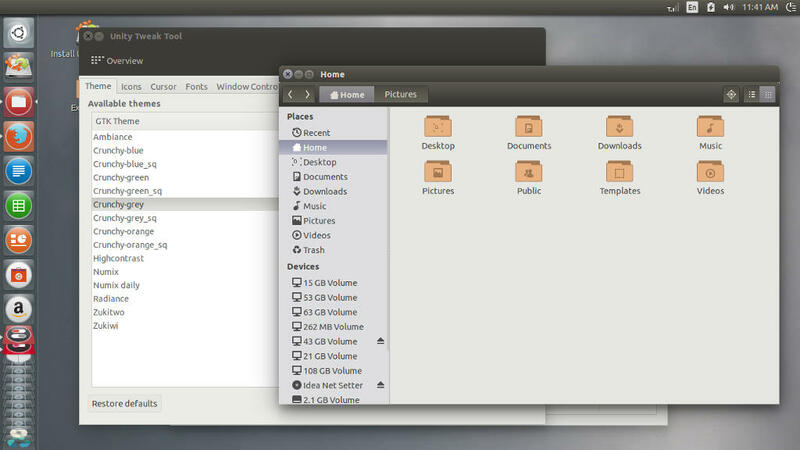 Zukitwo is the most famous and great looking theme for Gnome Shell and Ubuntu. Zukitwo is a light color theme and it works perfectly with all resolutions if it is a bigger screen or smaller screen on Ubuntu Unity Shell. It give a very nice visual compostion like Mac OS X. 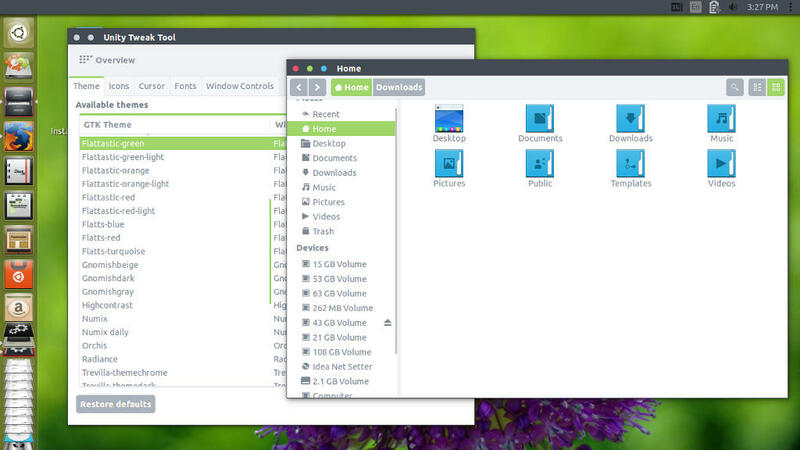 This theme support latest GTK and Gnome Shell 3.12/3.10/3.8/3.6/3.4. Zukiwi is a slightly modified Zukitwo theme. Zukitwo is a little bit flat. Zukiwi adds more polish to zukitwo. There difference is very less. There are some shadows and bumps to buttons and bars that is zukiwi. Looks pretty great for Ubuntu 14.04. Numix is a flat theme with modern look. It is a combination of light and dark elements. It supports Unity and Gnome. Numix is a part of the Numix Project. There is a nice wallpaper is coming with Numix. 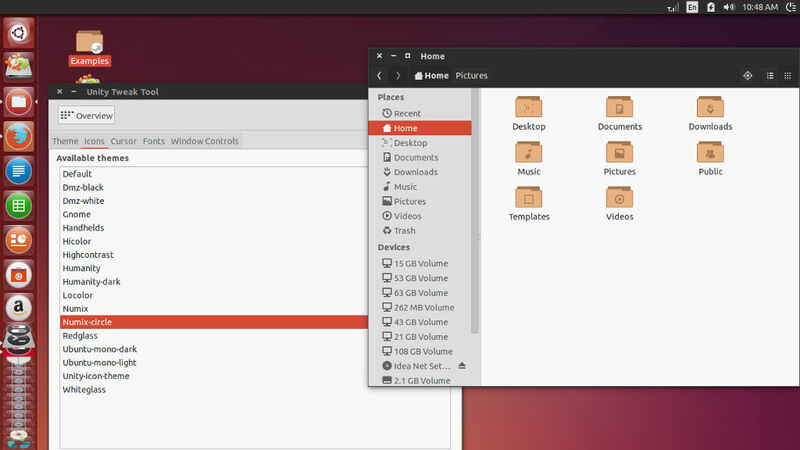 To Install Numix theme in Ubuntu 14.04 run the commands. 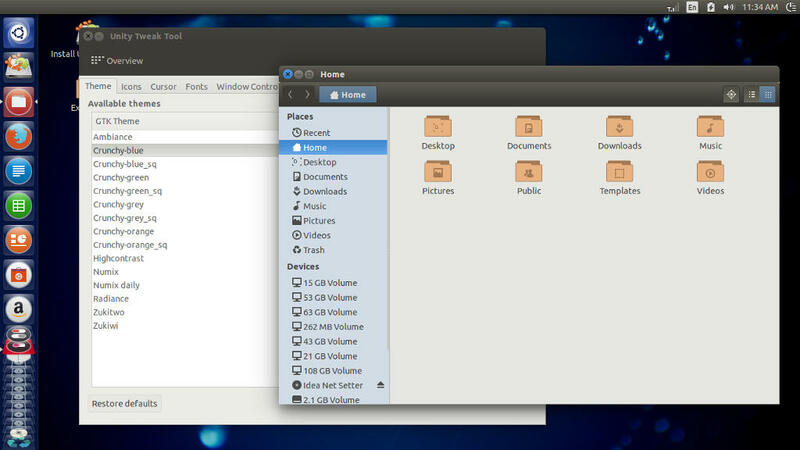 Ambiance-Crunchy is a set of themes inspired from Ambiance theme in Ubuntu. 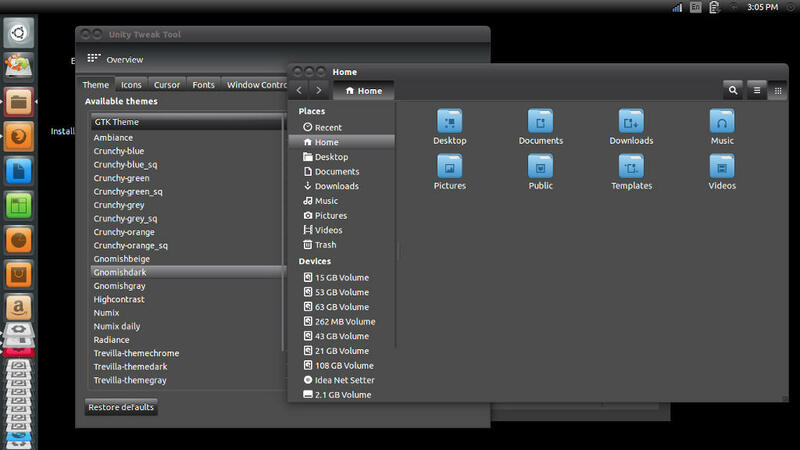 These themes are compatible with Ubuntu Unity. There are four color variations to Ambiance Crunchy. You can choose Blue, Green, Grey, Orange varients. All color variation give stunning look to the Desktop. 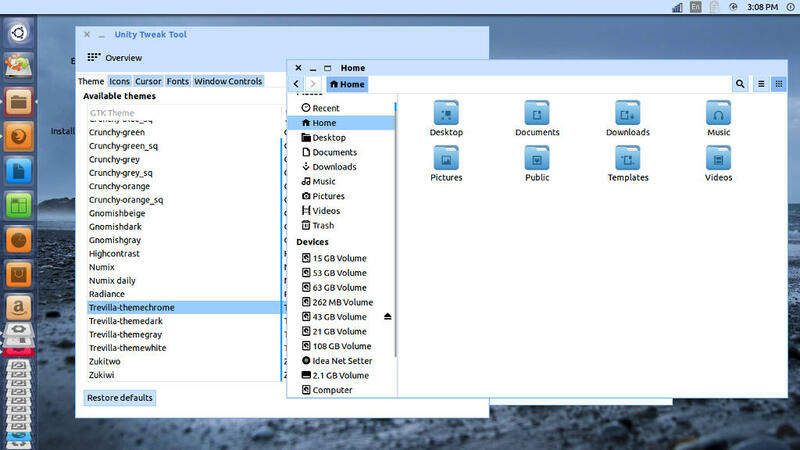 The theme is also compatible with GTK 3.4/3.6/3.8/3.10, Gnome Shell 3.10/3.8/3.6/3.4/, XFCE, Openbox, LXDE and Cinnamon. Orchis is a Nice GTK Theme from Moka Project. In this theme the title bar is dark with round shape buttons. Great with Moka Icon Theme. Gnomish theme is inspired from the original theme of Gnome. It has three color varients Beige, Grey and Dark. Its based on adwaita theme. 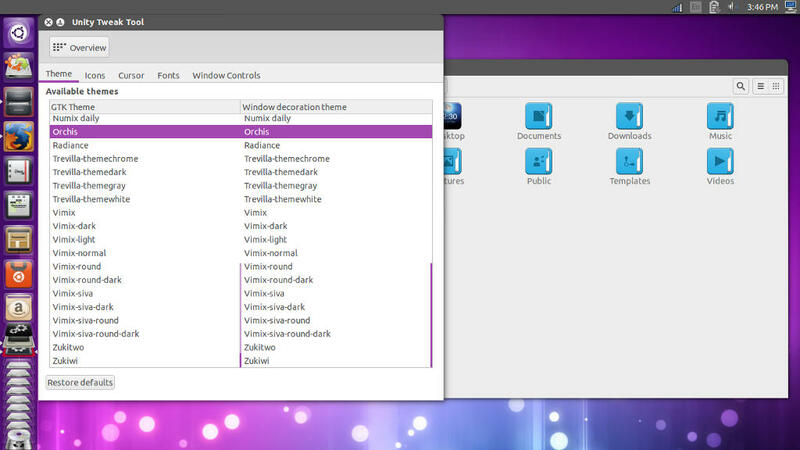 GnomishDark also offers GTK2 themes, which depends on murrine and pixmap engines. 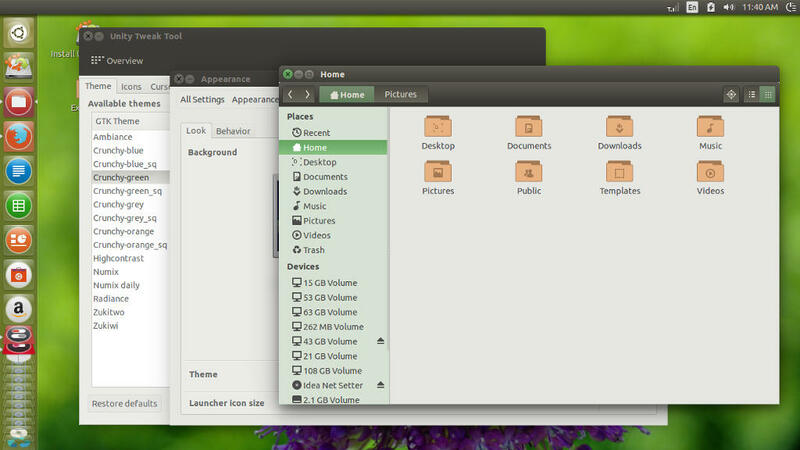 install gnomish theme in Ubuntu 14.04. 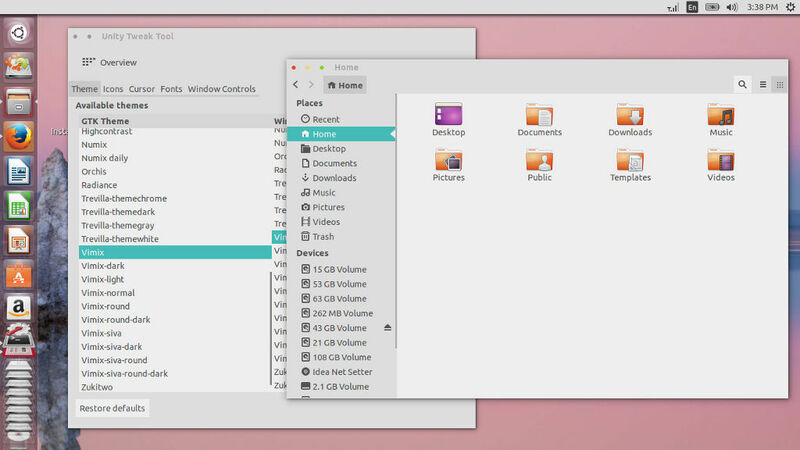 Flattastic theme follows the design trend of flat theme in ubuntu. This theme requires gnome-themes-standard, murrine and pixbuf engines to work properly. There are 4 different kind of themes with 2 variants. The theme is available in blue, green, orange and red color variants. Trevilla theme suit follows the metro theming style of windows 8. It was created by ninorpanama. 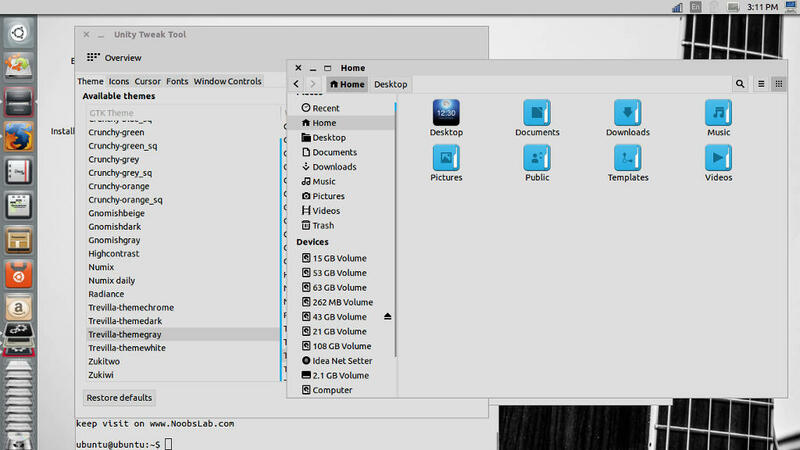 The theme pack is designed to work with Gtk3 and Gtk 2. There are four color variants for trevilla themes. 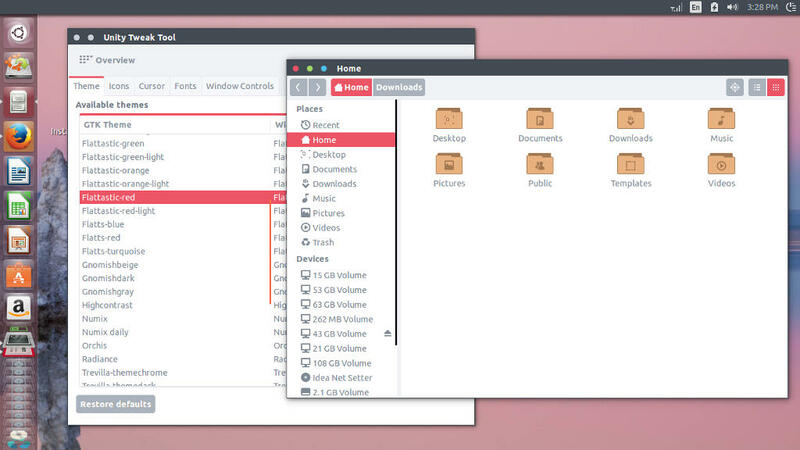 These themes will work perfect with ubuntu 14.04. The installation commands are given below. Vimix theme suite contains two variants with contrast flat design pattern. Vimix is now 3.0 and is supporting Gtk3, Gtk2 versions. It is well suited in Ubuntu Unity. The installation instructions are given below. Numix Icon Theme Circle icon pack contains round icons for all the Linux applications. The latest version available is Numix Icon Theme Circle 0.2. 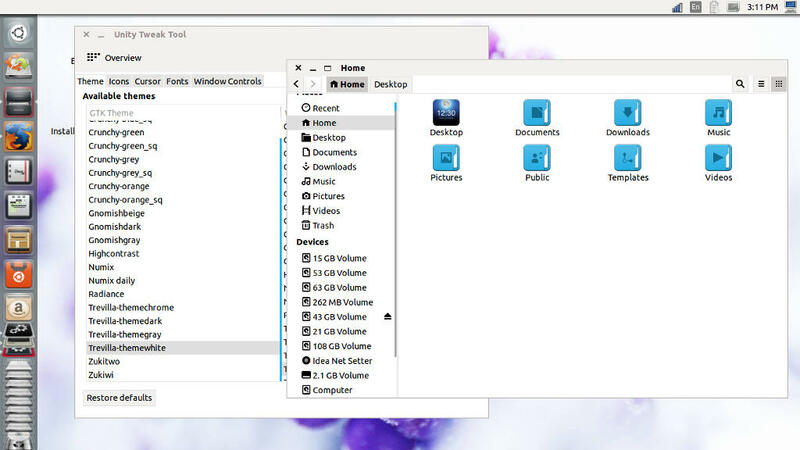 Numix icon pack is great for Ubuntu 14.04 and it gives an entire different look to Ubuntu 14.04. Nitrux icon pack follows the square design pattern. It contains all the icons for ubuntu. 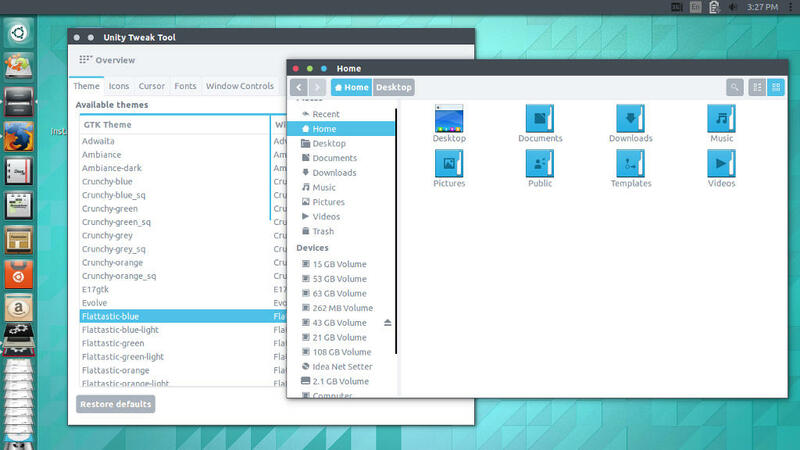 The elegant blue base give it a shine on ubuntu 14.04. The installation instructions are given below. Compass is also another square based icons. The creator tried to make icons that resembles with ios 7 icons. These icons are in squared shaped, well designed and colorful minimal design, this set is inspired by Tap icons. It can be used with any kind of light/dark or casual theme. 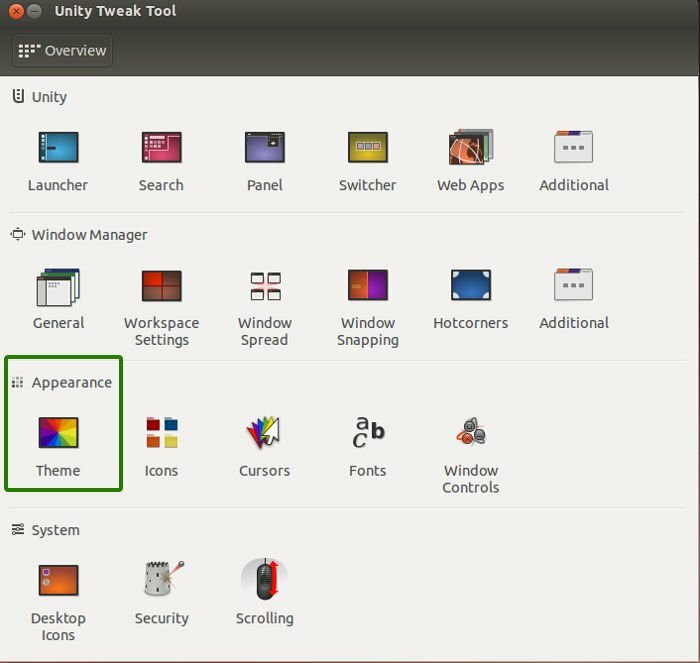 Use Unity Tweak Tool to install the theme in Ubuntu 14.04. 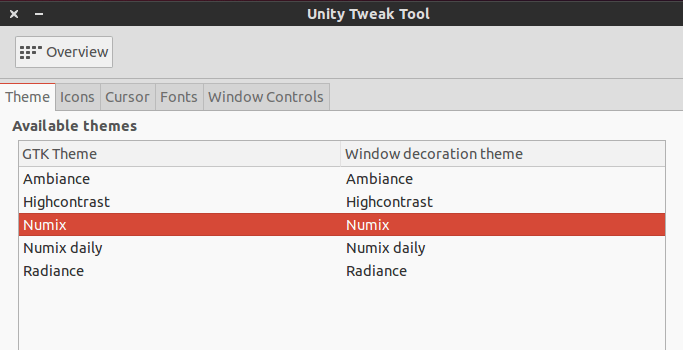 Open Unity tweak Tool . Select Appearance > Theme. 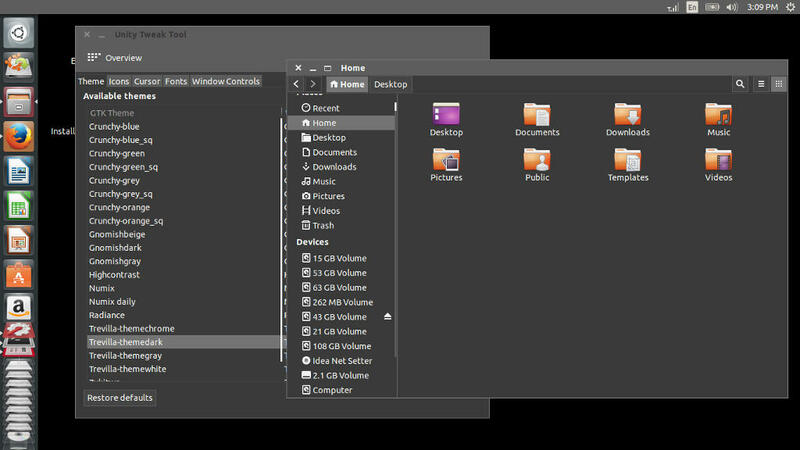 Then you will get a window to select GTK Theme. There are other tabs with icons, cursor, fonts, window Controls. etc. Just select the theme from this window. On the next tab you will get Icons. From here you can choose various icon packs that was installed through PPA. The icons are located in the directory /usr/share/icons. 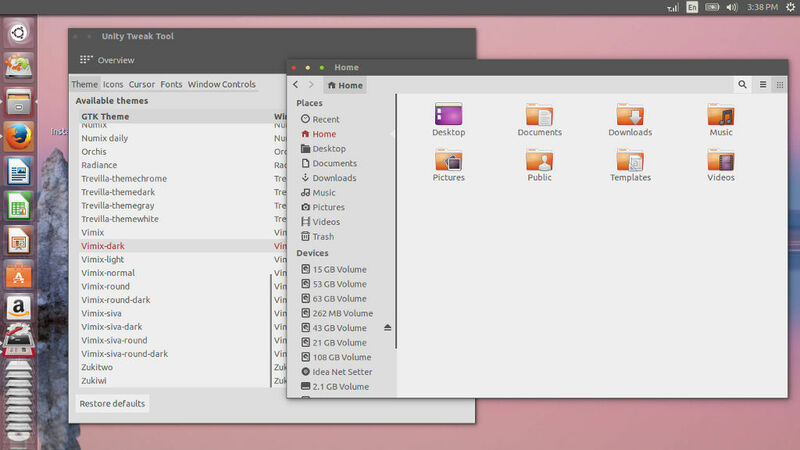 Enjoy Ubuntu 14.04 Themes and Icons.